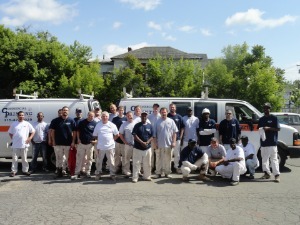 Commercial & Residential Painting Inc. is a 3rd generation family painting business that started in 1983. Currently we have around 45 employees. 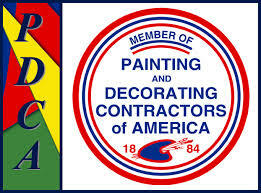 We are a proud member of the PDCA organization. David has over 30 years of painting experience. His duties include estimating, project coordination and management. his four kids and his four grandchildren. He is also an avid golfer. Jim has about 28 years of painting experience. assigning crew responsibilities, and safety coordination. Jim enjoys hunting and fishing in his spare time. Melissa has 23 years of painting and office management experience. assists in safety, oversees rules and regulations. Ed started the company by offering a cleaning service. Patrick is one of our estimators, and is also a painter. Patrick has been with the company for around 8 years. Pat enjoys debating politics, and is a big football fan. Zach handles marketing and job costing. the office. He has been with us for around 8 years. Zach is a huge yankee fan, and enjoys investing.